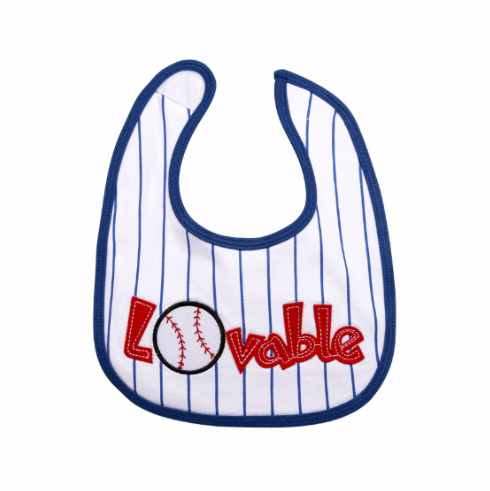 Lovable Baseball Baby Bib includes sewn baseball and letters on a pinstripe background. Cotton/Polyester knit. Measures appx. 8.5" x 10.5".